Better Oblivion Community Center, the collaborative project between Phoebe Bridgers and Bright Eyes frontman Conor Oberst, is just as emotive and intimate as fans would expect, with a surprisingly sprightly sound. For alternative fans of the early- to mid-aughts, Bright Eyes was the bread and butter of a blissfully melancholic music library. With a sound that morphed throughout the years between punching guitar riffs, hushed acoustic serenades and even bits of classical orchestration, Conor Oberst’s quivering, earnest vocals have made his main project a substantial cornerstone of indie rock. Like it did to many, Oberst’s blend of emo-folk sparked inspiration in the then-teenaged Phoebe Bridgers, who surmounts the genre by her own terms today. The singer-songwriter caught the attention of Oberst even before her breakout debut, 2017’s Stranger in the Alps, was released (Oberst was so enthralled by Bridgers’ “sad, beautiful” songwriting that he was even featured on the LP). With the preliminary foundation of a solid friendship, it seemed practically inevitable that the two forces would unite by way of a surprise ten-track collaborative project under the pseudonym Better Oblivion Community Center. And, as if we’d expected otherwise, the self-titled album is really, really good. Opener “Didn’t Know What I Was in For” sets the tone for the following 37 minutes of understated and occasionally cryptic introspection. In her last side project, Bridgers and her boygenius bandmates Lucy Dacus and Julien Baker exchanged center-stage roles as they belted their way through their gut-wrenching EP. This time around, Bridgers soothing, angelic serenades blend harmoniously with the equally gentle Oberst in a way that’s incredibly soothing and speaks volumes about their musical chemistry. Despite Oberst and Bridgers’ knacks for being frankly depressing, Better Oblivion is overall a bit more sonically cheery than their respective fanbases might be used to. “Dylan Thomas” and “My City” are perfect examples of the duo’s laid-back, cruising sing-alongs that err more on the side of steady folk than rock. “Sleepwalkin’” throws a delightful curveball in the form of tempo changes, but even amidst the sudden switches, the track remains locked tight. But the pensive lyricism that define much of Bridgers and Oberst’s content is still evident in Better Oblivion. “Forest Lawn,” possibly named after Los Angeles’ largest cemetery, is a lovelorn lullaby driven by some of the album’s most acoustically-driven orchestration. The track’s likely euphemistic lyrics dwell on going “underground” and “sleeping side by side,” making it one of Better Oblivion’s most poignant moments. 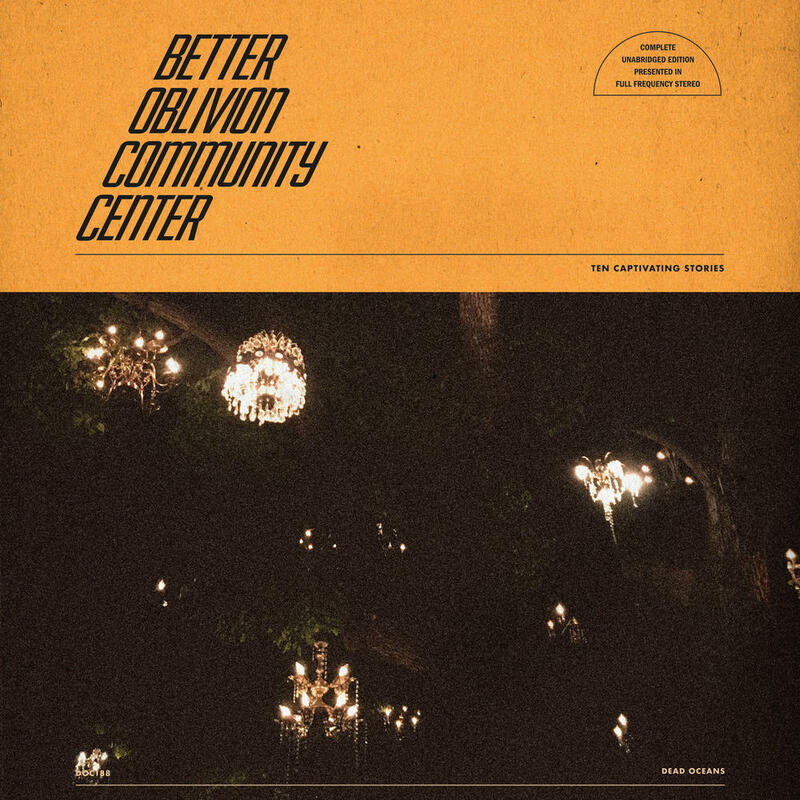 Whether you were an original Bright Eyes / Bridgers fan or not, Better Oblivion Community Center leaves little room for disappointment in the realm of honest, confessional indie rock. Woeful, unsettled or harrowingly lovesick, the duo is a match made in indie-folk heaven that we can only hope won’t bite the dust before long.